I hope you're having a great day so far:) Today I will be reviewing the L.A. 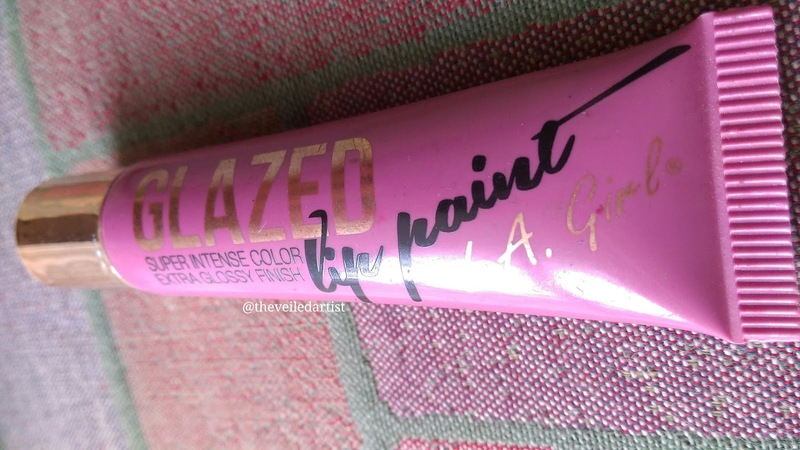 Girl Glazed lip paints in the shades Blushing and Pin-up. 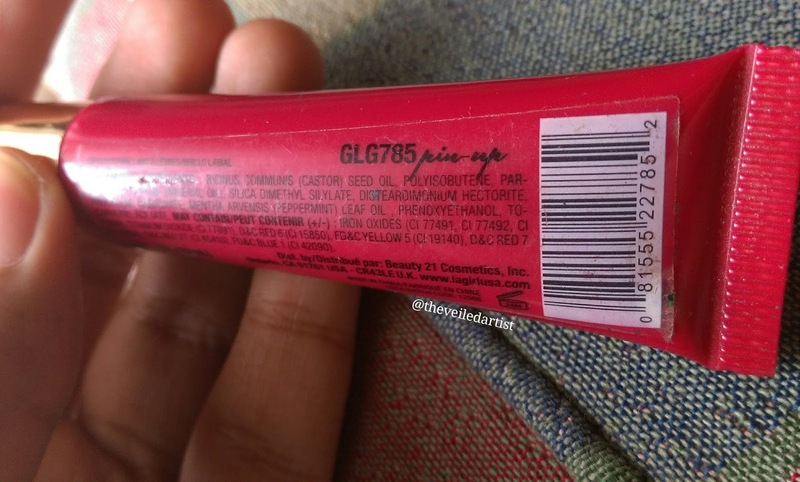 Each lip paint costs $5 and you get a whopping 12mls of product. 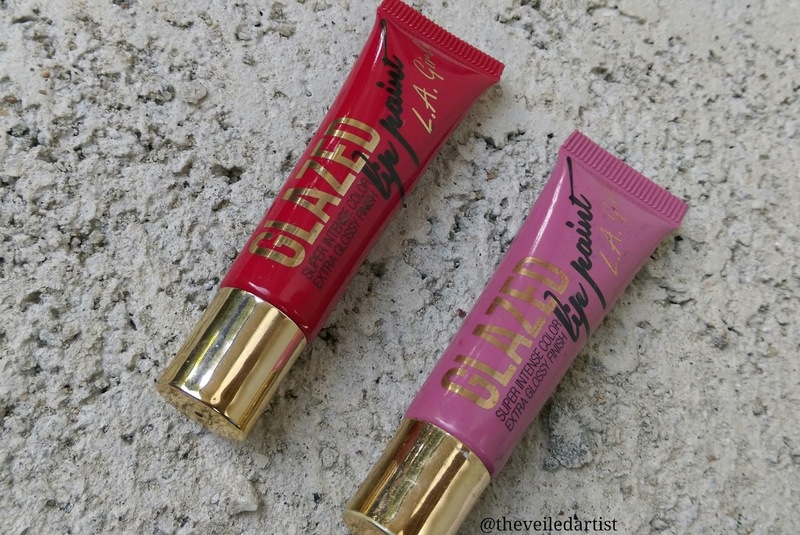 The lip paints come in a squeeze tube with a gold lid. 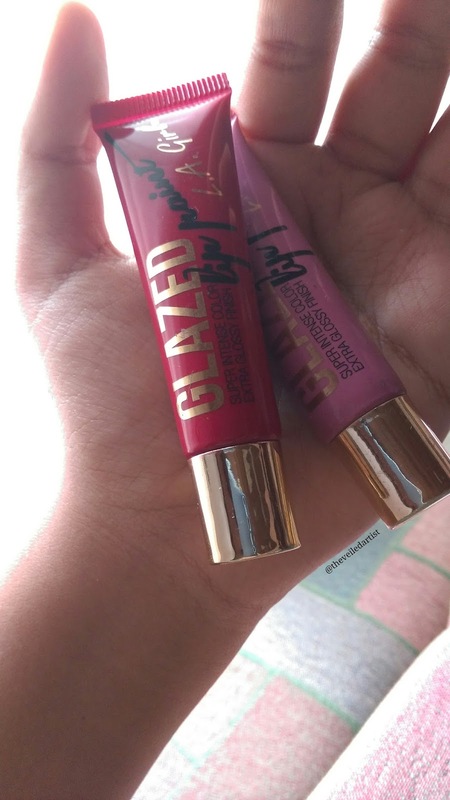 I feel like the packaging was inspired by the too faced melted lipsticks. It also has a nice slanted plastic applicator that I quite like! 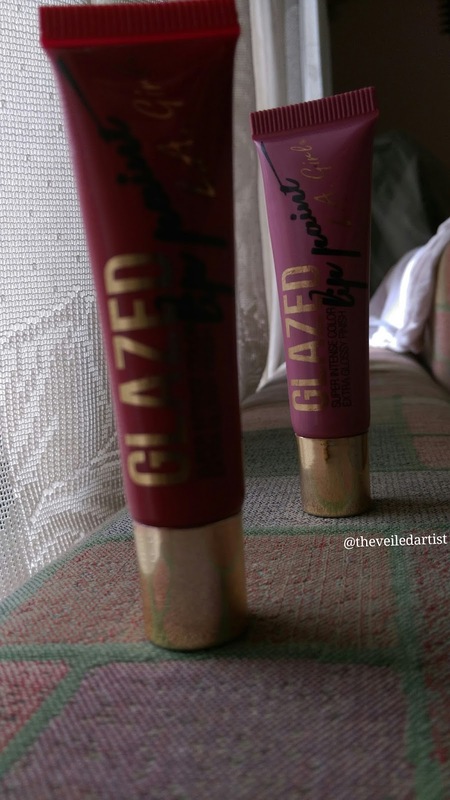 The colour of the packaging is the exact colour of the product inside so it is really easy to spot and grab the shade you're looking for. I love this product. 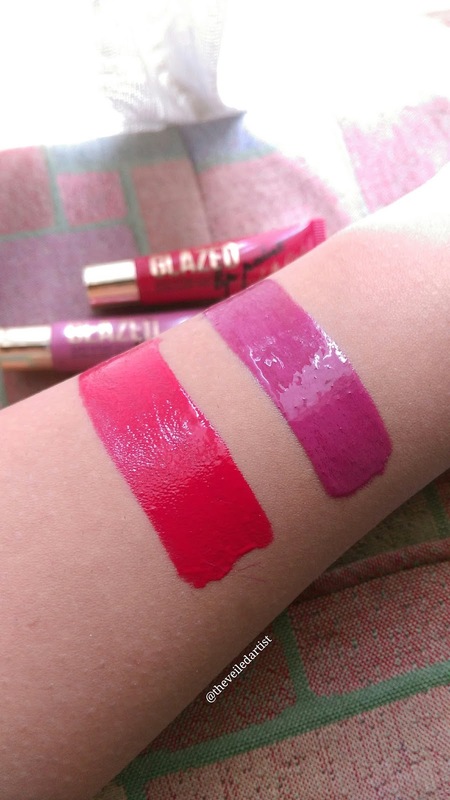 It is definitely not long wearing like matte liquid lipsticks and will completely disappear after one good meal. 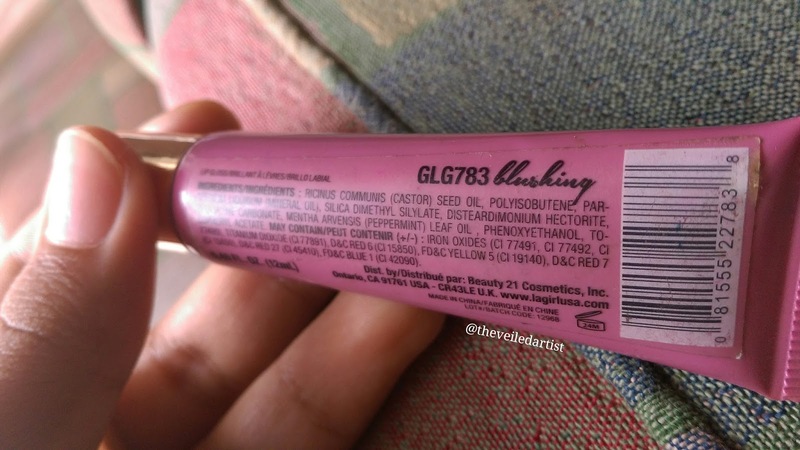 Like LA Girl claims, it is basically a lipgloss but with an insane amount of pigmentation. 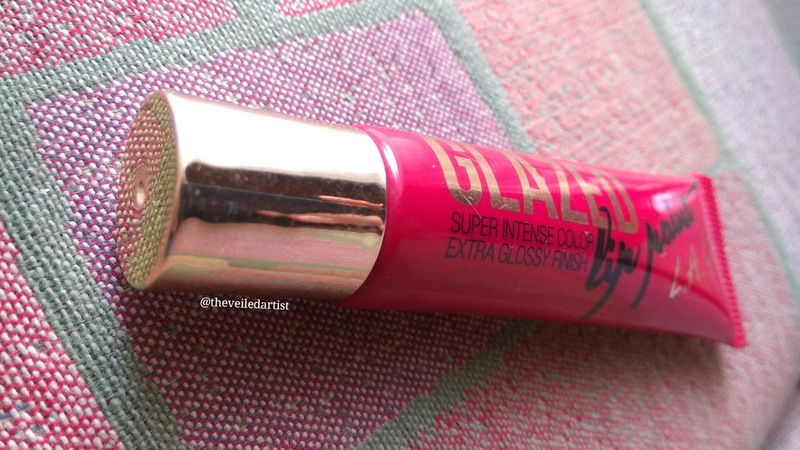 It's a super opaque formula that is really easy to top up. The cooling effect from the peppermint oil in the formula is extremely subtle. I'm not a huge fan of a tingly sensation on the lips. 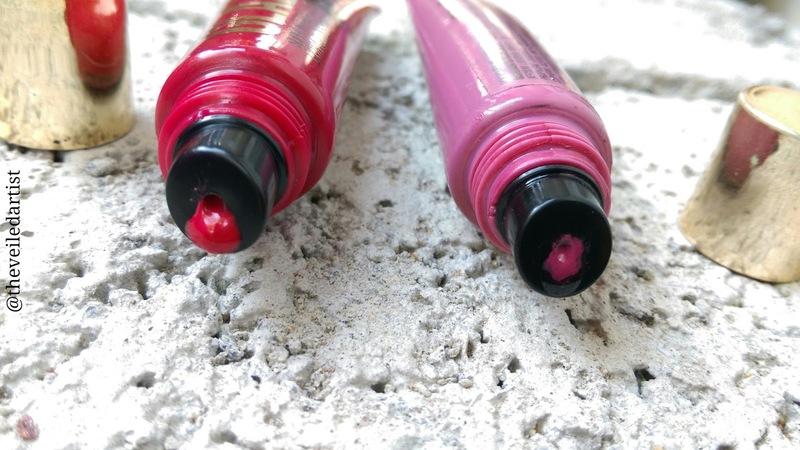 I feel like this is a very easy product to use.The squeezable tube packaging and the lid that shuts really well makes this perfect to keep in your handbag, so you can reapply after a meal. 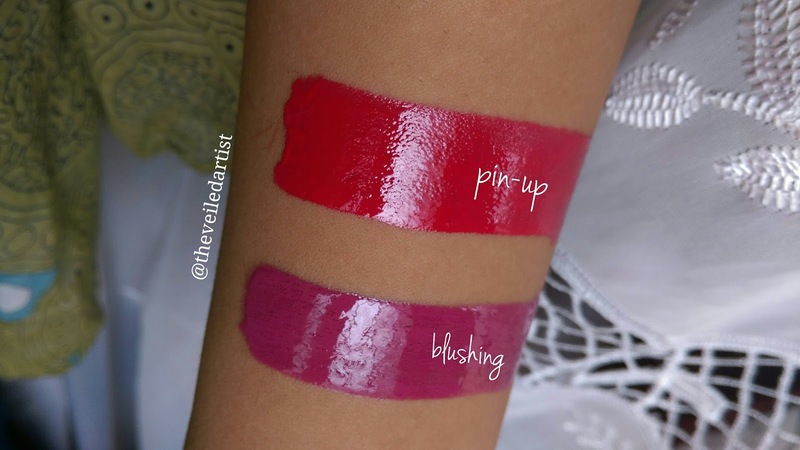 And since these lip paints are super pigmented, you do not have to worry about your lip's natural pigment showing through if that's something you're concerned about. However, since it is a very glossy formula and never actually dries down, it may transfer onto your teeth or glass. So make sure you do the thumb technique after applying it, so you can remove the excess lipstick from the insides of the mouth and use a straw if you don't want it to get on your glass. The shade blushing is a mauvy purple shade on me. 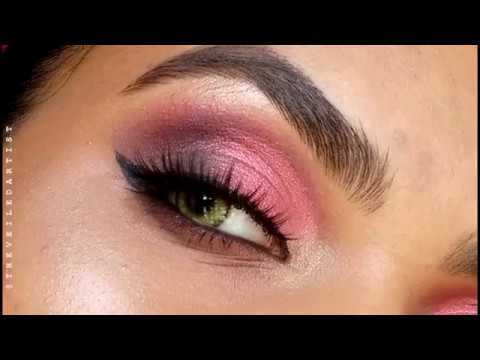 It's a perfect everyday shade that looks good with a lot of different eye makeup looks. The shade pin-up looks like a bright cherry red on me. I've noticed that it looks more crimson on everyone else haha. Or rather more orange-y. Yes totally give it a shot! 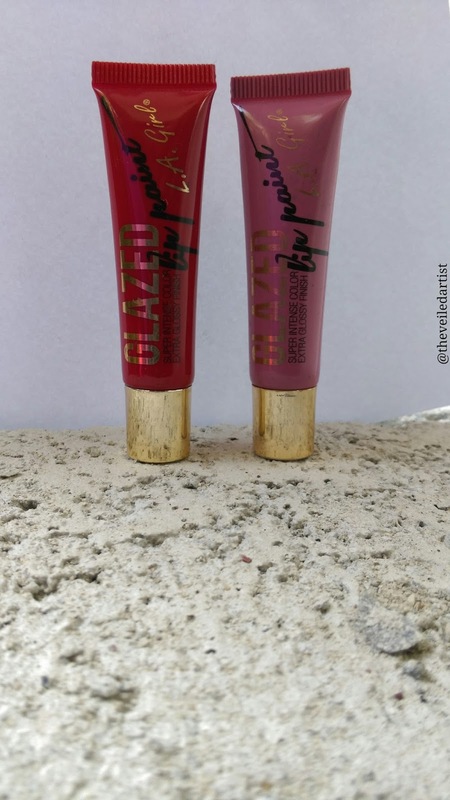 Especially if you want a lip product that gives a lot of colour but still feels light on the lips. And if you're unable to find this where you live, check ebay or amazon out!